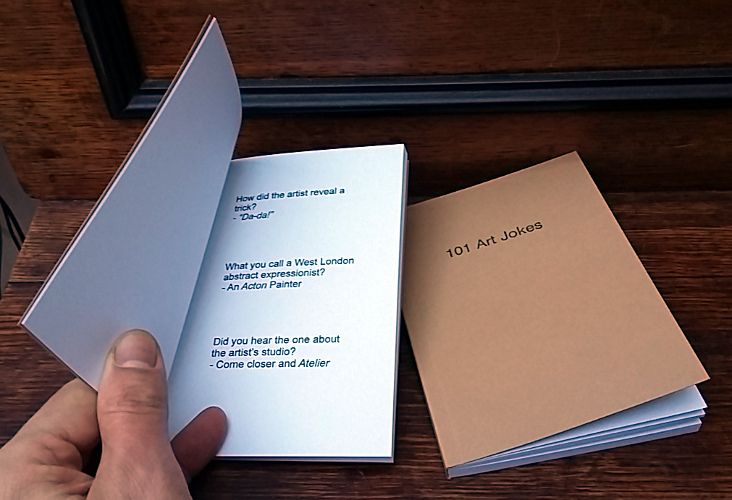 16 years after it was first published, 101 Art Jokes is reprinted in a second edition. 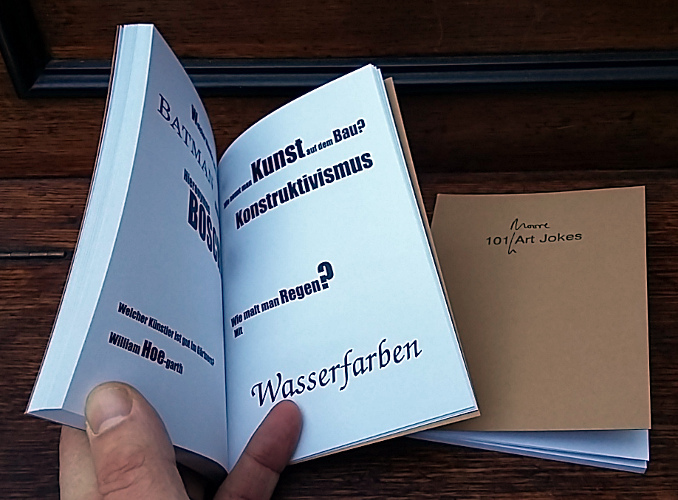 The compendium reprint of 101 Art Jokes includes both the French and German editions of the original book. 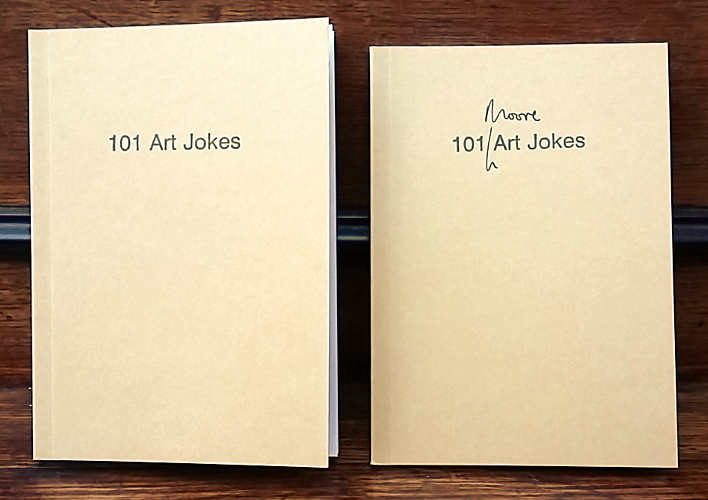 To coincide with this re-issue, a sequel book of new jokes entitled “101 'Moore' Art Jokes” is also printed. 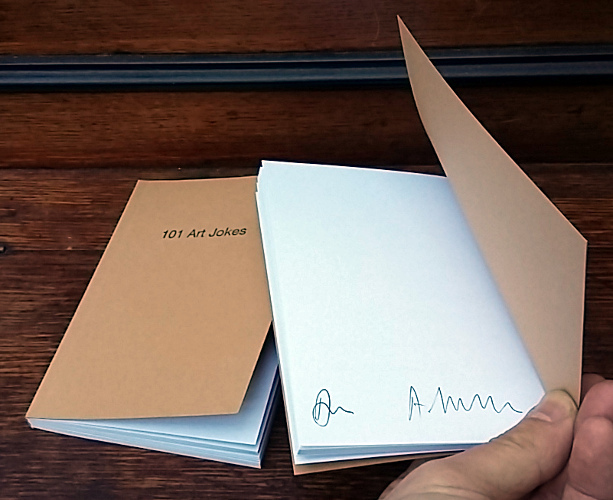 Both books have hand stamped covers and are signed unlimited editions. 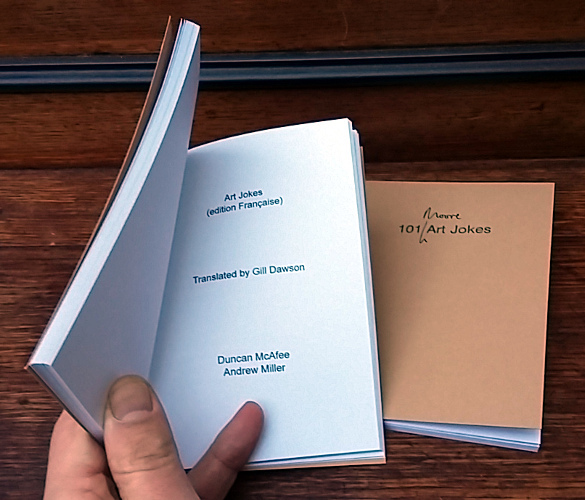 Shop here to buy one or both now - £10 each or a discounted price for of £15 for the pair!